City's home form continues. It has been rare of late to see Leicester City make a fortress of their home ground, but so far this season the Foxes are yet to drop a point on Filbert Way. They say that the first rule to success is winning all your home matches - the away form will look after itself. Leicester are getting the first part spot-on but need to up their game on the road if they are realistically going to be considered as contenders this season. Nigel Pearson got his tactics right. The second half switch to a steady 4-2-3-1 formation worked wonders for the Foxes, enabling them to control the midfield without losing incisiveness in attack. This was hardly the stuff of dreams but it was akin to the football that won City a place in the play-offs during Pearson's first tenure. The manager picked the right players and formation for the second half and is making a name for himself in his ability to turn around his team's performances at half time. Whatever tricks he has in the dressing room, they are working. Just give him time. The French wonderkid winger was rightly selected to start against Burnley, following his game-changing second-half appearance at Molyneux at the weekend. Anthony Knockaert was allowed almost a free role to bite at the Clarets' heels. Knockaert's talent is as obvious as his big heart - he is a man who enjoys playing football, demands the ball and feeds off the success of his team. 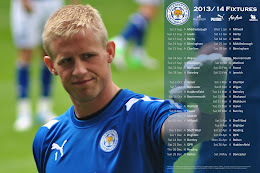 But his team doesn't in any way carry Knockaert - most often it seems he is carrying the Foxes. A first home goal, and a match-winning one at that, is sure to supply a confidence boost to former non-league striker Jamie Vardy. His neat control from Knockaert's pass offered Vardy the time and space he needed to pick his spot, firing smartly past the Clarets' keeper to give the Foxes victory. Much like Vardy, David Nugent needed a break to get back into his goalscoring form and in the process break his 100th-goal duck. The former Preston North End man got his break when Vardy flicked-on a delicious long throw from Ben Marshall to bundle home from close range. Bought-in over the summer as a replacement for the oft-criticised Lee Peltier, the early performances from the young Belgian are frustratingly similar to those of the ousted now-Leeds United player. Whilst de Laet's attacking play is sound, his role in defence is often bought into question as he gets isolated far up the pitch - or merely poor in terms of positioning and tactical defensive play. Perhaps undone by some solid research by Burnley's scouts, Ben Marshall was less impressive or incisive than in recent games. Every player is allowed an off day. Not included in the squad, the solid return to the team of Sean St Ledger is unfortunate for Liam Moore, who had started the season so well.